This is a fun illustrative card game that simply begs players to memorize as many facts as they possibly can to win. This is certainly a highly interactive game centered on learning and memorizing specific facts about history. The more you play the more you learn the historical facts that will move you to the winners� edge. 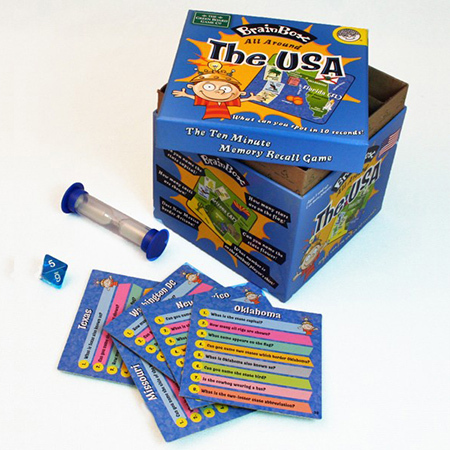 The game improves comprehension and teaches kids how to gain knowledge in a very different way; a fun and entertaining way.